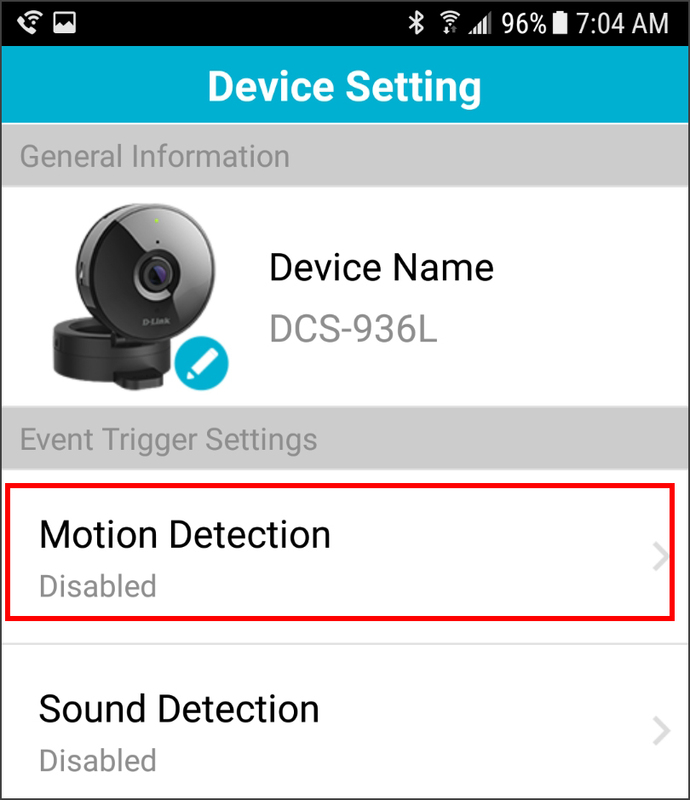 How do I set up motion detection on my camera using the mydlink Lite app? 1. 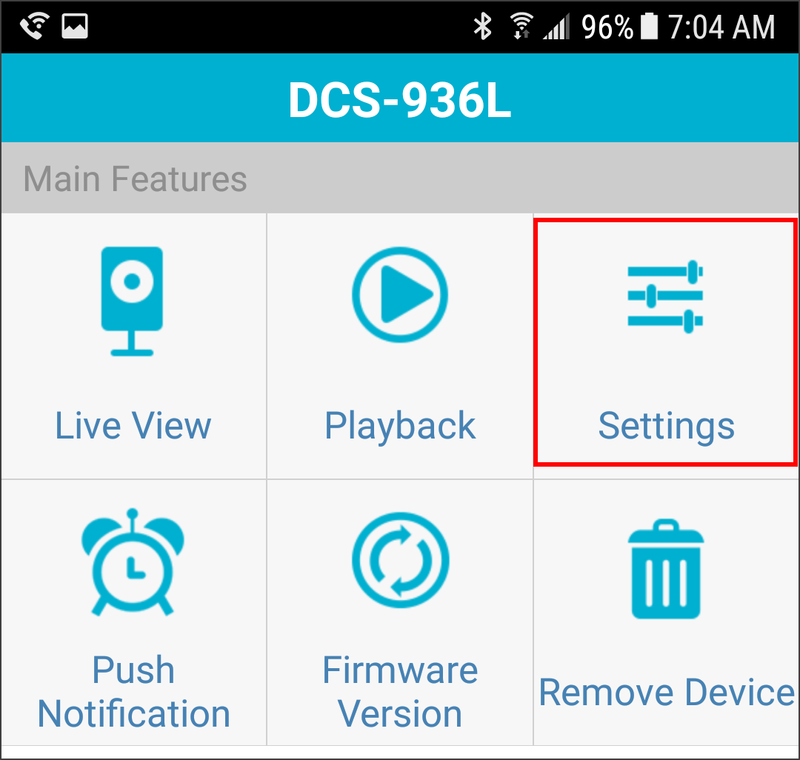 Open the mydlink Lite app on your device. 2. 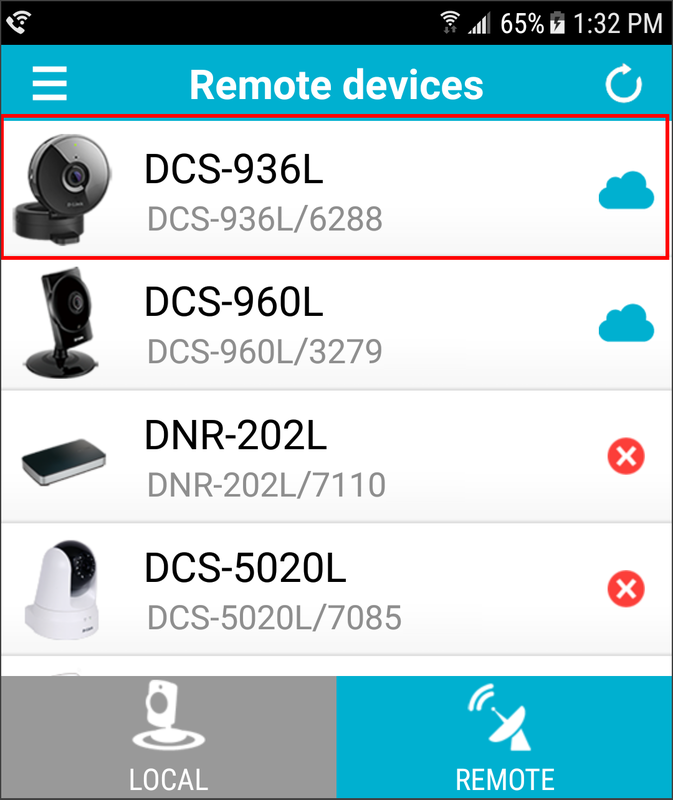 Once logged in, select the camera you want to configure. 3. From the Live View screen, tap the Main Features icon (3 dots in the upper right). 6. Tap Motion Detection to enable it. 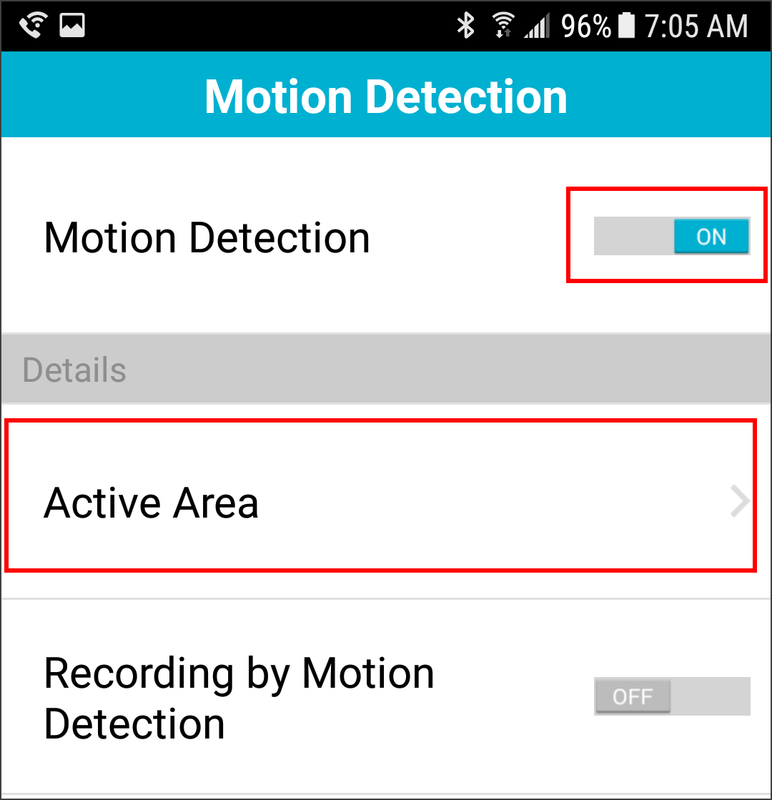 Then tap Active Area to select the area you want to detect movement. 7. 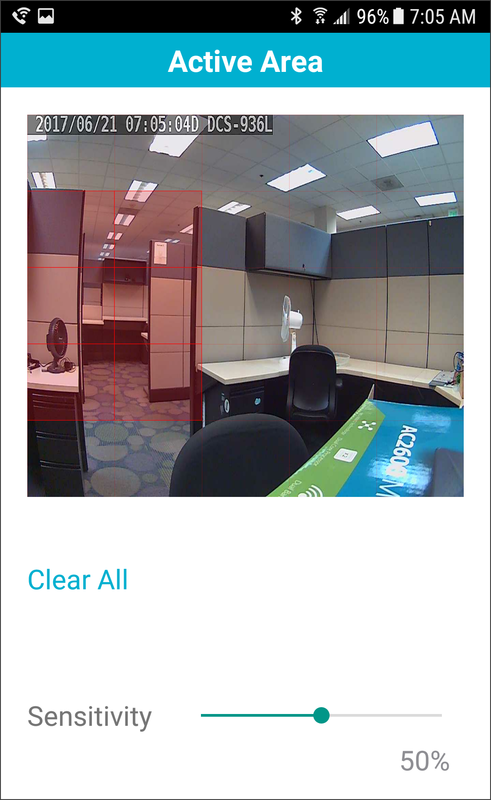 Tap where you want to detect motion (represented by a red square). Then select the sensitivity (0-100, 100 being the most sensitive). 8. Tap < in the upper left to go back (iOS) or press the back button on your Android phone. 9. 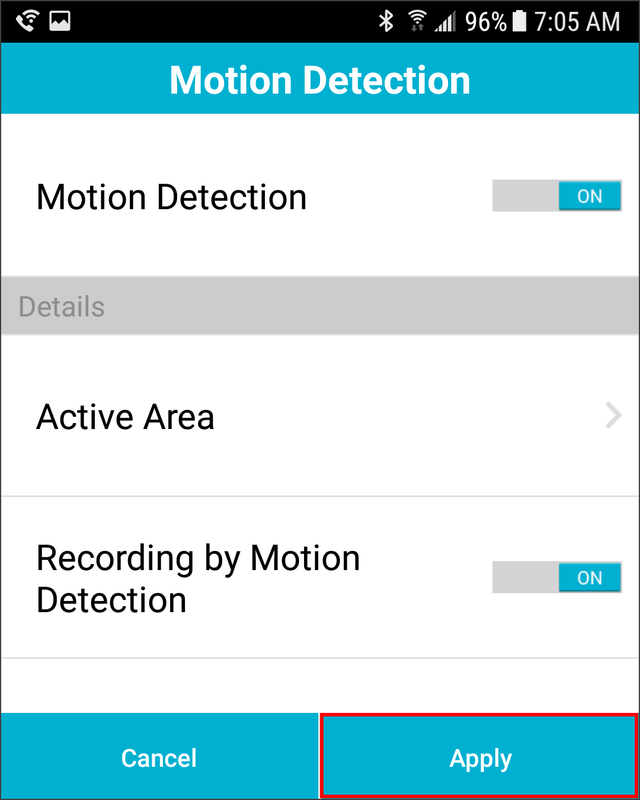 If you want to record video when motion is detected, tap Recording by Motion Detection to set to On. 10. Tap Apply at the bottom to save your settings.